Does it have the oomph to back up the looks? 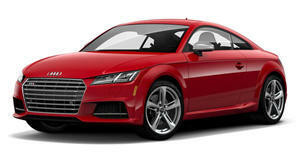 After some disappointing previous generations and the promise of improvement in the new one, Audi has been working hard to prove that its new 2015 TTS will really make its point – stating that, more than just a looker, it is a real sports car worthy of the title. After showing you a review that asked the same question the other day, here is the ultimate sports car test: watch the 310 horsepower TTS take on the Ascari Race Resort, in this short and quite convincing acceleration video. Is this enough to capture the sports car category out of the hands of its worthy competitors?